This month’s NIH Research & Consulting (NIHR) Staff Feature is on Debra Brown! Debra has over 20 years of health industry experience in the areas of Business Development, Marketing, Sales & Training. How can a person not be passionate about Healthcare? If you take a look at the advances in technology, the tools we now have available, and the new discoveries bringing us closer to curing, and even preventing diseases, it’s simply amazing. Working at NIH Research & Consulting gives me an opportunity to help. I love being even a small part of getting that technology, the latest cloud solutions, diagnostic equipment and tools in front of the final decision-makers in Healthcare. The diversity of the clients and the relationships that we foster with each of them is a big part of it. That, and our clients depend on us to effectively convey their message and product offerings to the various hospitals and healthcare systems. We are their invitation “in” when we’re successful in our timing and delivery of the message, and it’s up to each of us to maintain the great reputation that NIHR has. Personally, that pushes me on every campaign and I love that! 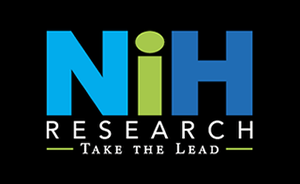 NIH Research is unique in that there is a great balance between the structured professional organization and the cohesive team/family aspect. Cindy and Robin sincerely care about all the people that work for NIHR and, for me, that fosters a great deal of respect. I can honestly say that there has never been a time that I have ever felt like “just a consultant”, and would bet that you will hear that from anyone that you talk with at NIHR. It’s really very rare! I have been told that I have a talent for articulating myself in print. Being able to convey what transpired during a conversation with a contact for the client companies that we represent is very important. Having been on their end in business development, that provides the “tone” of an upcoming meeting with a potential sale. And I’m driven. If a job needs to get done, I’ll do what it takes to get there. I care a great deal about what I do being done well. Beyond that, I would say that it’s living by the motto of treating others as you want to be treated. I have been told that Project Managers want me on their campaigns. In this business, it’s important to be thought of as a valued resource, so that means a lot to me! I would say that I have been up for many adventures when the opportunity has presented itself. I’ve white-water rafted down the Snake river a few times. I’ve parasailed. I’ve gone tandem hang gliding. I’ve hiked down to the bottom of the Grand Canyon. I’ve even crashed twice in a hot-air balloon (into very tall pine trees and had to be rescued both times.) I would do it again in a heartbeat. I even have sky diving on my bucket list. But, I would never, ever get on a rollercoaster! How fun, or weird, is that? Congratulations to Debra Brown from all of her colleagues at NIH Research & Consulting on Staff Feature of the Month!